Measure slide angle friction with Emerson’s Coefficient of Friction Incline Friction Tester, which aids in the evaluation of chemicals and additives used to create and minimize the degree of friction between two contacting test specimens. 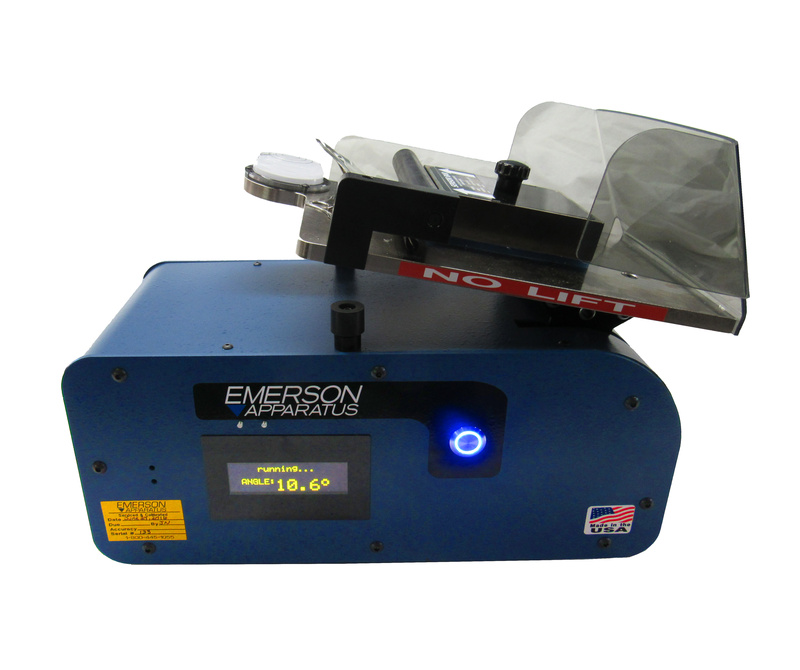 Emerson’s Coefficient of Friction Incline Friction Tester measures slide angle friction of a sample sheet substrate such as paper, corrugated, plastic film, or paperboard which determines the angle of inclination at which one sample affixed to a sled will begin to slide/slip against another substrate of a similar material. 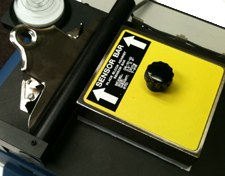 Slip and Friction testing aids in the evaluation of chemicals and additives used to create and minimize the degree of friction between two contacting test specimens. During a test, an inclined plane is increased at a rate of 1.5 +/- .05 per second by a vibration isolated electric motor until the test block begins to slide. The initial movement of the sled is the Slide Angle or Coefficient of Static Friction of the material. When the test block just begins to slide a sensor automatically stops increasing the inclined plane and returns it to the start position at high speed. The test results remain on the screen until the next test is run. A variety of factors can affect the Slide Angle measurements including abrasion, coatings, printing, varnishes and most importantly, humidity. Custom sliding blocks available upon request.